This stainless steel lifting chain is made from high-grade stainless steel, with a load capacity that is 25 % higher than that of G5 lifting chains. The chains are tested at 100 % of their load capacity, which is an impressive 12,000 kg! The chain is electrically welded for an extra-clean finish, stamped and with a higher resistance to acids and caustics than the standard lifting chains G8, G10 and G12. 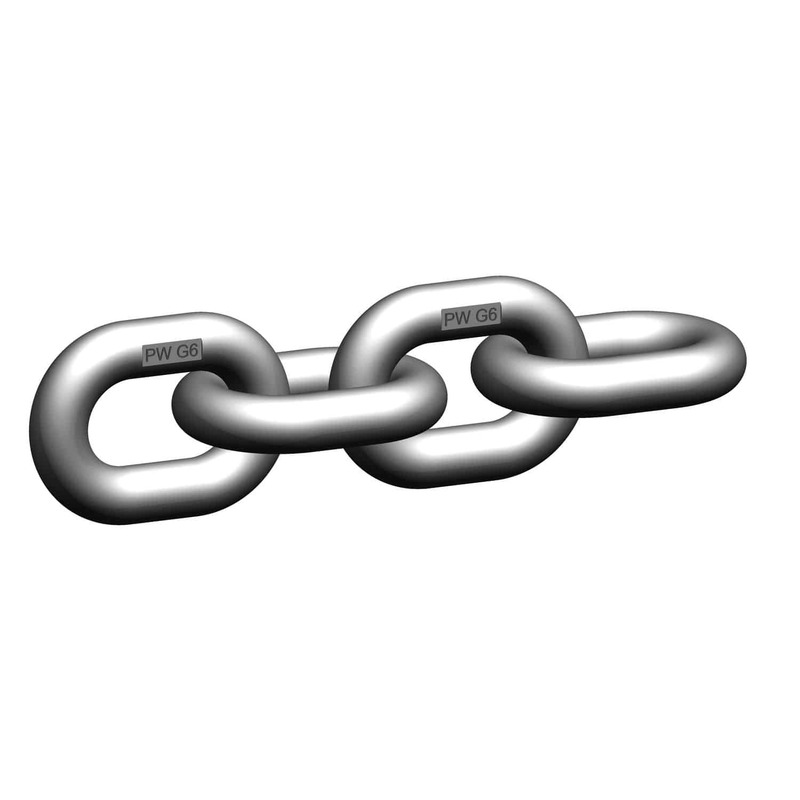 The chain is guaranteed to be compatible with the Connex CWI links, with dimensions that are similar to DIN 5687-1 and EN 818-2. The stamp makes the chains clearly identifiable.